Main hazards When heated to decomposition, silicon nitride may emit toxic fumes of ammonia and ozone. Contact with acids may generate flammable hydrogen gas. 4 is the most commercially important of the silicon nitrides and is generally understood as what is being referred to where the term "silicon nitride" is used. 3), each of which are stoichiometric phases. As with other refractories, the products obtained in these high-temperature syntheses depends on the reaction conditions (e.g. time, temperature, and starting materials including the reactants and container materials), as well as the mode of purification. However, the existence of the sesquinitride has since come into question. The nitridation of silicon powder was developed in the 1950s, following the "rediscovery" of silicon nitride and was the first large-scale method for powder production. 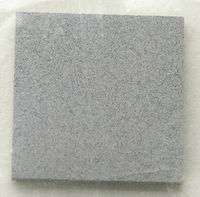 However, use of low-purity raw silicon caused contamination of silicon nitride by silicates and iron. The diimide decomposition results in amorphous silicon nitride, which needs further annealing under nitrogen at 1400–1500 °C to convert it to crystalline powder; this is now the second-most important route for commercial production. The carbothermal reduction was the earliest used method for silicon nitride production and is now considered as the most-cost-effective industrial route to high-purity silicon nitride powder. Plasma-enhanced chemical vapor deposition (PECVD) technology, which works at rather low temperature and vacuum conditions. 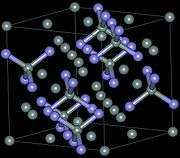 The lattice constants of silicon nitride and silicon are different. Therefore, tension or stress can occur, depending on the deposition process. Especially when using PECVD technology this tension can be reduced by adjusting deposition parameters. Silicon nitride is difficult to produce as a bulk material—it cannot be heated over 1850 °C, which is well below its melting point, due to dissociation to silicon and nitrogen. Therefore, application of conventional hot press sintering techniques is problematic. Bonding of silicon nitride powders can be achieved at lower temperatures through adding additional materials (sintering aids or "binders") which commonly induce a degree of liquid phase sintering. A cleaner alternative is to use spark plasma sintering where heating is conducted very rapidly (seconds) by passing pulses of electric current through the compacted powder. Dense silicon nitride compacts have been obtained by this techniques at temperatures 1500–1700 °C. 4, and can be produced under normal pressure condition. The γ phase can only be synthesized under high pressures and temperatures and has a hardness of 35 GPa. 4 is often designated as c modification in the literature, in analogy with the cubic modification of boron nitride (c-BN). 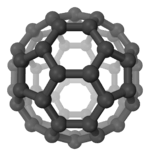 It has a spinel-type structure in which two silicon atoms each coordinate six nitrogen atoms octahedrally, and one silicon atom coordinates four nitrogen atoms tetrahedrally. In general, the main issue with applications of silicon nitride has not been technical performance, but cost. As the cost has come down, the number of production applications is accelerating. One of the major applications of sintered silicon nitride is in automobile industry as a material for engine parts. Those include, in diesel engines, glowplugs for faster start-up; precombustion chambers (swirl chambers) for lower emissions, faster start-up and lower noise; turbocharger for reduced engine lag and emissions. In spark-ignition engines, silicon nitride is used for rocker arm pads for lower wear, turbocharger for lower inertia and less engine lag, and in exhaust gas control valves for increased acceleration. As examples of production levels, there is an estimated more than 300,000 sintered silicon nitride turbochargers made annually. Silicon nitride bearings are both full ceramic bearings and ceramic hybrid bearings with balls in ceramics and races in steel. Silicon nitride ceramics have good shock resistance compared to other ceramics. Therefore, ball bearings made of silicon nitride ceramic are used in performance bearings. A representative example is use of silicon nitride bearings in the main engines of the NASA's Space Shuttle. Since silicon nitride ball bearings are harder than metal, this reduces contact with the bearing track. This results in 80% less friction, 3 to 10 times longer lifetime, 80% higher speed, 60% less weight, the ability to operate with lubrication starvation, higher corrosion resistance and higher operation temperature, as compared to traditional metal bearings. Silicon nitride balls weigh 79% less than tungsten carbide balls. Silicon nitride ball bearings can be found in high end automotive bearings, industrial bearings, wind turbines, motorsports, bicycles, rollerblades and skateboards. Silicon nitride bearings are especially useful in applications where corrosion, electric or magnetic fields prohibit the use of metals. For example, in tidal flow meters, where seawater attack is a problem, or in electric field seekers. 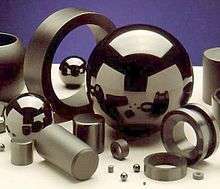 4 bearing balls were produced in the U.S. in 1996 for machine tools and many other applications. Growth is estimated at 40% per year, but could be even higher if ceramic bearings are selected for consumer applications such as in-line skates and computer disk drives. Silicon nitride has long been used in high-temperature applications. In particular, it was identified as one of the few monolithic ceramic materials capable of surviving the severe thermal shock and thermal gradients generated in hydrogen/oxygen rocket engines. To demonstrate this capability in a complex configuration, NASA scientists used advanced rapid prototyping technology to fabricate a one-inch-diameter, single-piece combustion chamber/nozzle (thruster) component. The thruster was hot-fire tested with hydrogen/oxygen propellant and survived five cycles including a 5-minute cycle to a 1320 °C material temperature. In 2010 silicon nitride was used as the main material in the thrusters of the JAXA space probe Akatsuki. Silicon nitride has many orthopedic applications. The material is also an alternative to PEEK (polyether ether ketone) and titanium, which are used for spinal fusion devices. It is silicon nitride’s hydrophilic, microtextured surface that contributes to the materials strength, durability and reliability compared to PEEK and titanium. 4 cutting tools has had a dramatic effect on manufacturing output. For example, face milling of gray cast iron with silicon nitride inserts doubled the cutting speed, increased tool life from one part to six parts per edge, and reduced the average cost of inserts by 50%, as compared to traditional tungsten carbide tools. Silicon nitride is often used as an insulator and chemical barrier in manufacturing integrated circuits, to electrically isolate different structures or as an etch mask in bulk micromachining. As a passivation layer for microchips, it is superior to silicon dioxide, as it is a significantly better diffusion barrier against water molecules and sodium ions, two major sources of corrosion and instability in microelectronics. It is also used as a dielectric between polysilicon layers in capacitors in analog chips. Silicon nitride deposited by LPCVD contains up to 8% hydrogen. It also experiences strong tensile stress, which may crack films thicker than 200 nm. However, it has higher resistivity and dielectric strength than most insulators commonly available in microfabrication (1016 Ω·cm and 10 MV/cm, respectively). These SiNH films have much less tensile stress, but worse electrical properties (resistivity 106 to 1015 Ω·cm, and dielectric strength 1 to 5 MV/cm). Silicon nitride is also used in xerographic process as one of the layer of the photo drum. Silicon nitride is also used as an ignition source for domestic gas appliances. Because of its good elastic properties, silicon nitride, along with silicon and silicon oxide, is the most popular material for cantilevers — the sensing elements of atomic force microscopes. 4. E. Friederich and L. Sittig made Si3N4 in 1925 via carbothermal reduction under nitrogen, that is, by heating silica, carbon, and nitrogen at 1250–1300 °C. Silicon nitride remained merely a chemical curiosity for decades before it was used in commercial applications. From 1948 to 1952, the Carborundum Company, Niagara Falls, New York, applied for several patents on the manufacture and application of silicon nitride. By 1958 Haynes (Union Carbide) silicon nitride was in commercial production for thermocouple tubes, rocket nozzles, and boats and crucibles for melting metals. British work on silicon nitride, started in 1953, was aimed at high-temperature parts of gas turbines and resulted in the development of reaction-bonded silicon nitride and hot-pressed silicon nitride. In 1971, the Advanced Research Project Agency of the US Department of Defense placed a US$17 million contract with Ford and Westinghouse for two ceramic gas turbines. Even though the properties of silicon nitride were well known, its natural occurrence was discovered only in the 1990s, as tiny inclusions (about 2 µm × 0.5 µm in size) in meteorites. The mineral was named nierite after a pioneer of mass spectrometry, Alfred O. C. Nier. This mineral might have been detected earlier, again exclusively in meteorites, by Soviet geologists. ↑ Mellor, Joseph William (1947). 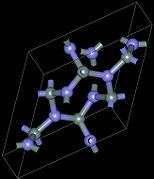 A Comprehensive Treatise on Inorganic and Theoretical Chemistry. 8. Longmans, Green and Co. pp. 115–7. OCLC 493750289. ↑ Carlson, O. N. (1990). "The N-Si (Nitrogen-Silicon) system". Bulletin of Alloy Phase Diagrams. 11 (6): 569. doi:10.1007/BF02841719. 1 2 3 4 5 6 7 Riley, Frank L. (2004). "Silicon Nitride and Related Materials". Journal of the American Ceramic Society. 83 (2): 245. doi:10.1111/j.1151-2916.2000.tb01182.x. 1 2 3 4 5 Nishi, Yoshio; Doering, Robert (2000). Handbook of semiconductor manufacturing technology. CRC Press. pp. 324–325. ISBN 0-8247-8783-8. ↑ "Crystec Technology Trading GmbH, Comparison of vertical and horizontal tube furnaces in the semiconductor industry". crystec.com. Retrieved 2009-06-06. ↑ "Crystec Technology Trading GmbH, deposition of silicon nitride layers". Retrieved 2009-06-06. ↑ Ghosh Chaudhuri, Mahua; Dey, Rajib; Mitra, Manoj K.; Das, Gopes C.; Mukherjee, Siddhartha (2008). "A novel method for synthesis of α-Si3N4 nanowires by sol-gel route". Science and Technology of Advanced Materials. 9 (1): 5002. Bibcode:2008STAdM...9a5002G. doi:10.1088/1468-6996/9/1/015002. PMC 5099808 . 1 2 3 4 "Silicon Nitride – An Overview". azom.com. Retrieved 2009-06-06. ↑ Nishimura, T.; Xu, X.; Kimoto, K.; Hirosaki, N.; Tanaka, H. (2007). "Fabrication of silicon nitride nanoceramics—Powder preparation and sintering: A review". Science and Technology of Advanced Materials. 8 (7–8): 635. Bibcode:2007STAdM...8..635N. doi:10.1016/j.stam.2007.08.006. 1 2 Peng, Hong (2004). Spark Plasma Sintering of Si3N4-based Ceramics: Sintering mechanism-Tailoring microstructure-Evaluating properties (PhD thesis). Stockholm University. ISBN 978-91-7265-834-9. ↑ "Crystal structures of Si3N4". hardmaterials.de. Retrieved 2009-06-06. ↑ Jiang, J. Z.; Kragh, F.; Frost, D. J.; Ståhl, K.; Lindelov, H. (2001). "Hardness and thermal stability of cubic silicon nitride". Journal of Physics: Condensed Matter. 13 (22): L515. Bibcode:2001JPCM...13L.515J. doi:10.1088/0953-8984/13/22/111. ↑ "Properties of gamma-Si3N4". Archived from the original on July 15, 2006. Retrieved 2009-06-06. ↑ Zhu, Xinwen; Sakka, Yoshio (2008). "Textured silicon nitride: Processing and anisotropic properties". Science and Technology of Advanced Materials. 9 (3): 3001. Bibcode:2008STAdM...9c3001Z. doi:10.1088/1468-6996/9/3/033001. PMC 5099652 . 1 2 3 4 5 Richerson, David W.; Freita, Douglas W. "Ceramic Industry". Opportunities for Advanced Ceramics to Meet the Needs of the Industries of the Future. Oak Ridge National Laboratory. OCLC 692247038. ↑ "Ceramic Balls Increase Shuttle Engine Bearing Life". NASA. Retrieved 2009-06-06. ↑ "Space Shuttle Main Engine Enhancements". NASA. Retrieved 2009-06-06. ↑ Eckel, Andrew J. (1999). "Silicon Nitride Rocket Thrusters Test Fired Successfully". NASA. Archived from the original on April 4, 2009. ↑ Olofsson, Johanna; Grehk, T. Mikael; Berlind, Torun; Persson, Cecilia; Jacobson, Staffan; Engqvist, Håkan (2012). "Evaluation of silicon nitride as a wear resistant and resorbable alternative for total hip joint replacement". Biomatter. 2 (2): 94–102. doi:10.4161/biom.20710. PMID 23507807. 1 2 Mazzocchi, M; Bellosi, A (2008). "On the possibility of silicon nitride as a ceramic for structural orthopaedic implants. Part I: Processing, microstructure, mechanical properties, cytotoxicity". Journal of Materials Science: Materials in Medicine. 19 (8): 2881–7. doi:10.1007/s10856-008-3417-2. PMID 18347952. 1 2 Webster, T.J.; Patel, A.A.; Rahaman, M.N. ; Sonny Bal, B. (2012). "Anti-infective and osteointegration properties of silicon nitride, poly(ether ether ketone), and titanium implants". Acta Biomaterialia. 8 (12): 4447–54. doi:10.1016/j.actbio.2012.07.038. PMID 22863905. ↑ Anderson, MC; Olsen, R (2010). "Bone ingrowth into porous silicon nitride". Journal of biomedical materials research. Part A. 92 (4): 1598–605. doi:10.1002/jbm.a.32498. PMID 19437439. ↑ Arafat, Ahmed; Schroën, Karin; De Smet, Louis C. P. M.; Sudhölter, Ernst J. R.; Zuilhof, Han (2004). "Tailor-Made Functionalization of Silicon Nitride Surfaces". Journal of the American Chemical Society. 126 (28): 8600–1. doi:10.1021/ja0483746. PMID 15250682. ↑ Pierson, Hugh O. (1992). Handbook of chemical vapor deposition (CVD). William Andrew. p. 282. ISBN 0-8155-1300-3. ↑ Sze, S.M. (2008). Semiconductor devices: physics and technology. Wiley-India. p. 384. ISBN 81-265-1681-X. ↑ Schein, L.B. (1988). Electrophotography and Development Physics, Springer Series in Electrophysics. 14. Springer-Verlag, Berlin. ↑ Ohring, M. (2002). The materials science of thin films: deposition and structure. Academic Press. p. 605. ISBN 0-12-524975-6. ↑ Deville, H. & Wohler, F. (1857). "Erstmalige Erwahnung von Si3N4". Liebigs Ann. Chem. 104 (2): 256. doi:10.1002/jlac.18571040224. ↑ Weiss, L. & Engelhardt, T (1910). "Über die Stickstoffverbindungen des Siliciums". Z. Anorg. Allgem. Chem. 65 (1): 38–104. doi:10.1002/zaac.19090650107. ↑ Carter, C. Barry & Norton, M. Grant (2007). Ceramic Materials: Science and Engineering. Springer. p. 27. ISBN 0-387-46270-8. ↑ Lee, M. R.; Russell, S. S.; Arden, J. W.; Pillinger, C. T. (1995). 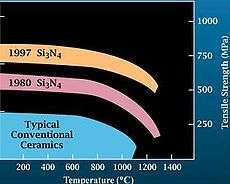 "Nierite (Si3N4), a new mineral from ordinary and enstatite chondrites". Meteoritics. 30 (4): 387. Bibcode:1995Metic..30..387L. doi:10.1111/j.1945-5100.1995.tb01142.x. ↑ "Nierite". Mindat. Retrieved 2009-08-08.